Deezer on Tuesday opened up its plans to the entire U.S., putting the on-demand music service in true competition with Spotify, Tidal, and Apple Music for the first time. Previously U.S. access was limited to Cricket subscribers, or people with Bose or Sonos audio hardware. Plans for the general public cost $9.99 per month —a more expensive Elite plan, with lossless FLAC streaming, is still reserved for Sonos owners, and there's no free tier in the States despite the option existing elsewhere. The service's two signature features are Flow —a personalized radio station similar to Pandora's Thumbprint Radio —and podcasts by way of Stitcher. While Deezer is largely unknown in the U.S., it's available in over 180 countries and has over 6 million paid subscribers. That puts it behind Apple Music's 15 million, and Spotify's 30 million, but the gap could potentially close slightly with access to one of the world's most important markets. 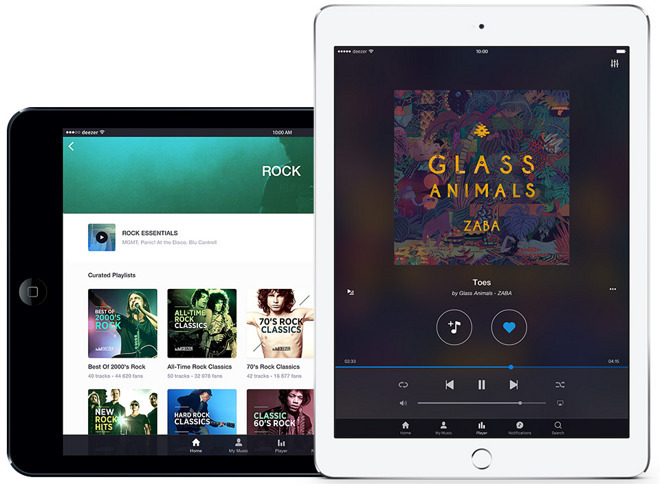 Deezer apps are available for iOS, Mac, Windows, Android, and the Web.